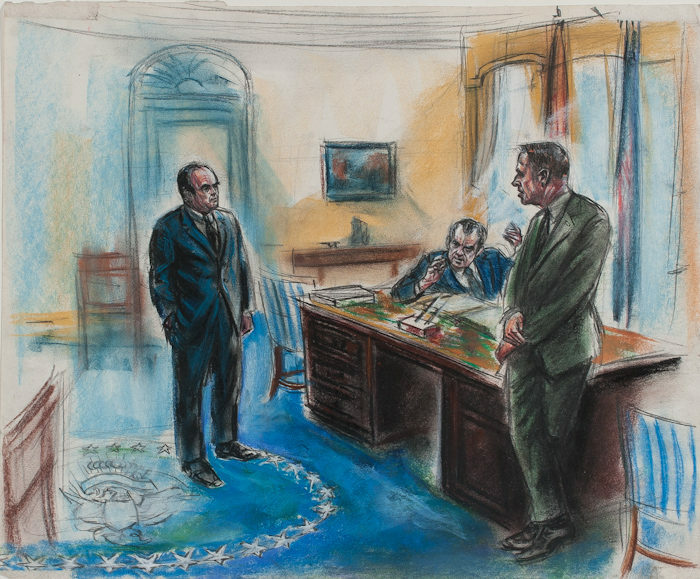 Sketch artist Freda Reiter created visuals to accompany ABC-TV’s broadcast of President Richard Nixon’s secretly recorded audiotapes. Freda Reiter, President Richard Nixon with chief of staff H.R. Haldeman and counsel John Ehrlichman in Oval Office, 1973, c. October 1974. Pastel drawing, 17″ x 14″. As Senate hearings in late spring 1973 exposed the “dirty tricks” of President Richard Nixon’s administration, an unprecedented number of Americans tuned in to live TV broadcasts from the Senate floor. After the inquiry moved from the Senate to federal courtrooms, where cameras were prohibited, the public followed the developing drama on nightly news reports, waiting for a climax. Nixon would pre-empt impeachment by resigning from the presidency on August 8, 1974. More than 30 of his henchmen would eventually be convicted of Watergate-related crimes. Watch a vintage ABC broadcast featuring Reiter’s sketches. ABC News, “Watergate Indictments,” originally broadcast March 1, 1974. 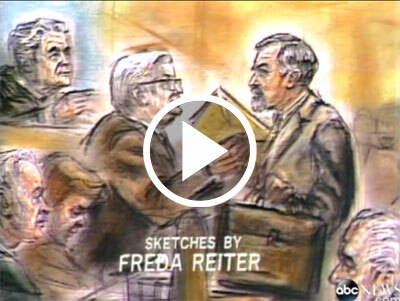 In the absence of photographic documentation, ABC Television sent sketch artist Freda Reiter to cover the Watergate trials. Reiter didn’t only document the happenings in the courtroom, but also re-created the scenes of Nixon’s notorious tape-recorded conversations (to accompany ABC’s playback of the covert audiotapes). A one-time student of Diego Rivera, with a photographic memory, Reiter was expert in the traditional techniques of life drawing and storytelling. Yet, there is something inherently modern to Reiter’s art. Working for television, she used intense colors and deep-focus panoramas for the network’s scans and zooms. Gallery 98 has acquired a large selection of Reiter’s Watergate drawings, of which 24 are featured in a new online exhibition. Prices range from $1500 to $2800. 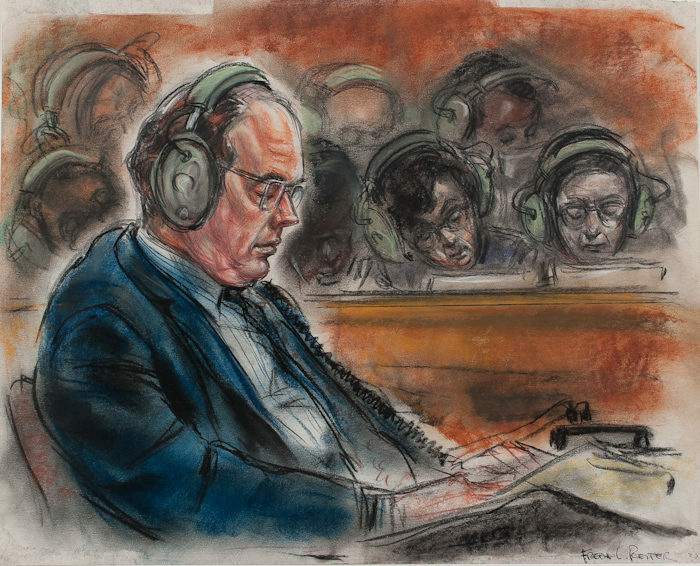 Highlights among Reiter’s Watergate sketches show the playback of the Nixon Tapes in court. Freda Reiter, John Ehrlichman and jury listen to and read transcripts of covert White House tapes, October 1974. Pastel drawing, 17″ x 14″.